House Hunters Cori and Jon work in IT consulting and law. However, their passion is wine, winery to be specific. One day, the happy couple decided to buy a winery. They spent all their free time searching for the perfect property, and now they’re the proud owners of 23 acres of land. 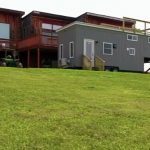 Jon and Cori want to live on this vineyard full-time, so they’re buying a tiny home, one with wheels so that they can move all around the land. 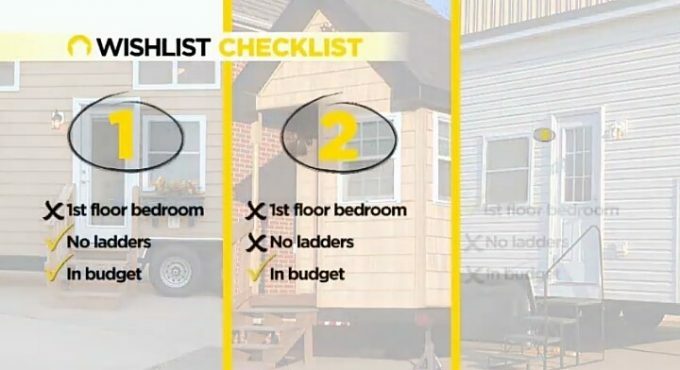 Cori is expecting their second child, so that makes the tiny home dreams a bit more complicated. They have $85,000 to invest in their new home. Cori and Jon want the home to have at least 400 sq. ft. They want to install a rooftop deck on it. Cori and Jon want a main level bedroom, a full-size bathroom, stairs instead of ladders, and room for a queen size bed. Hers: Cori prefers mid-century modern homes. She also likes a light and bright interior. His: Jon prefers rustic homes with exposed wood. 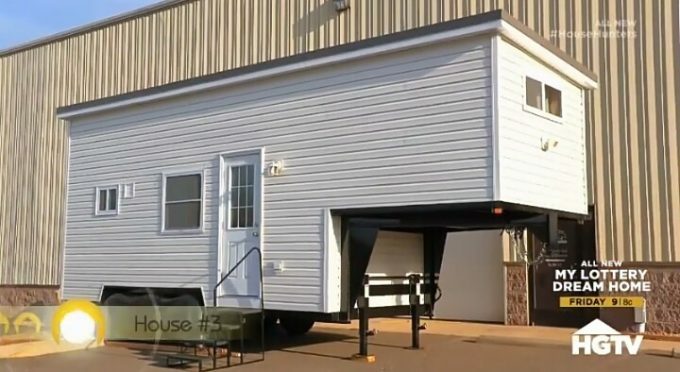 This home has 412 sq. ft. It has a decent size kitchen with all new stainless steel appliances. The home has wood flooring and stairs that double as storage space. It doesn’t have a main level bedroom but it has two loft areas. Both loft spaces can fit a king size bed. 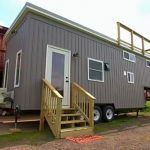 The home has rooftop deck capabilities, but it would require that they lower the roof even more. It’s a very light, bright and white home. It’s definitely more of Cori’s style than Jon’s style. This tiny home is definitely more rustic and Jon’s style. It has a lot of charm and wood fixtures. 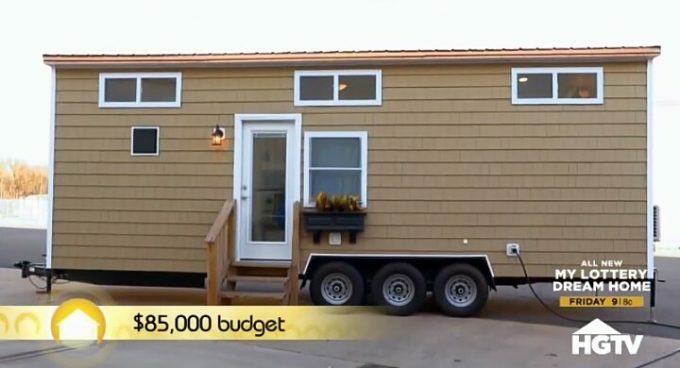 It’s only 272 sq. ft. but it fits a full-size couch, which makes it seem a lot more spacious. The home also has the customizable capability to expand its size. 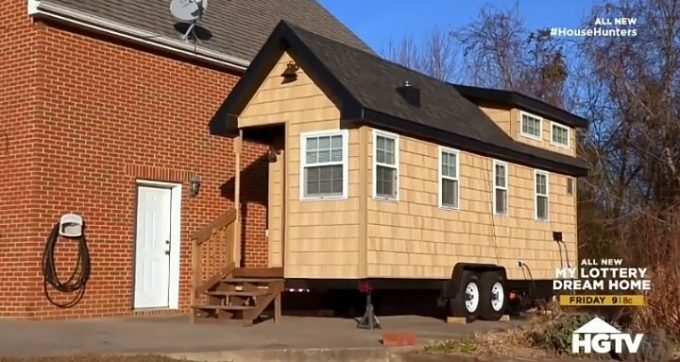 This tiny home comes with a fireplace, a small bathroom, small appliances, and a small sink. It also doesn’t include a full-size main bedroom, but the loft has plenty of room for Cori, Jon, and their two children. This home is 315 sq. ft. It’s the home best suited for a rooftop deck. The home has a blend of wood, and light and bright pieces. The kitchen is small with small appliances. The layout is a little cramped. It comes with ladders to the loft, but they can be stored away. It also has the customizable capability to have stairs put in to replace the ladders. The bathroom is very small and has an RV toilet. The bedroom in the upper loft is very spacious and almost looks like a full-size room. Decision Time: If we were picking, we would have chosen House #2. It just had so much charm, but it was definitely too small for a family of four. House #1 was very modern and had most of the things that Cori wanted. This, to us, was the best choice for them. However, Jon really wanted that rooftop deck, and House #3 was the only one with that potential. They decided to combine some elements of all three homes into their custom design of it. It took seven months for the upgrades to finish. By that time, the new baby, Cressa, was born. They added a rooftop deck, tiles in the bathroom, made the bathroom full-size, and added full-size appliances. Cori and Jon also changed the layout of the tiny home by combining the living room and kitchen. They made the lofts more spacious for them and their children. Cori also made sure to add some mid-century modern elements. It cost them $95,000 with all the additional upgrades.